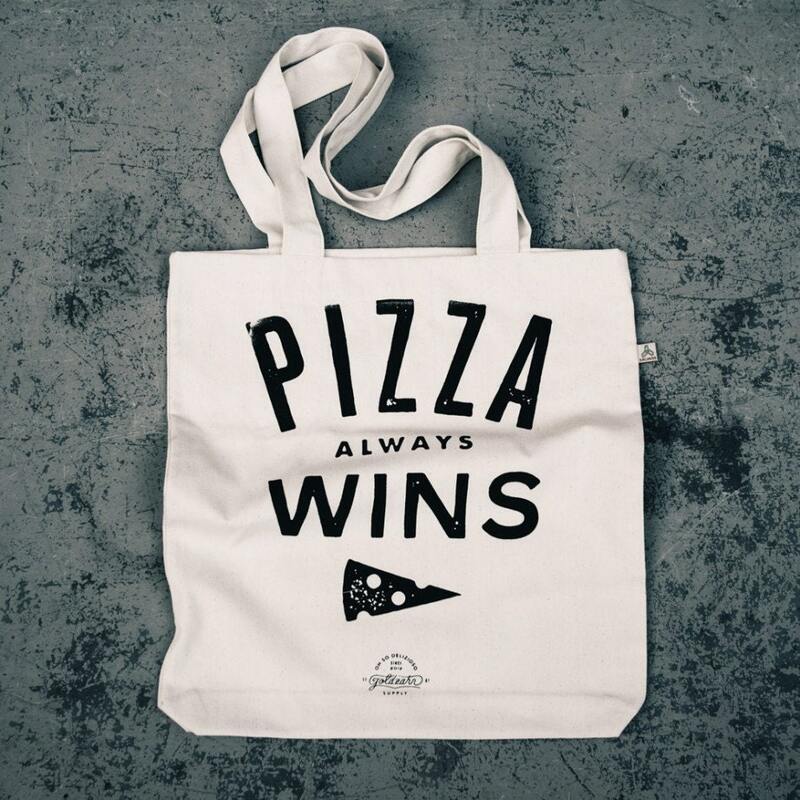 PIZZA ALWAYS WINS! Enough said. Screenprinted by hand. Made out of 100% recycled material.